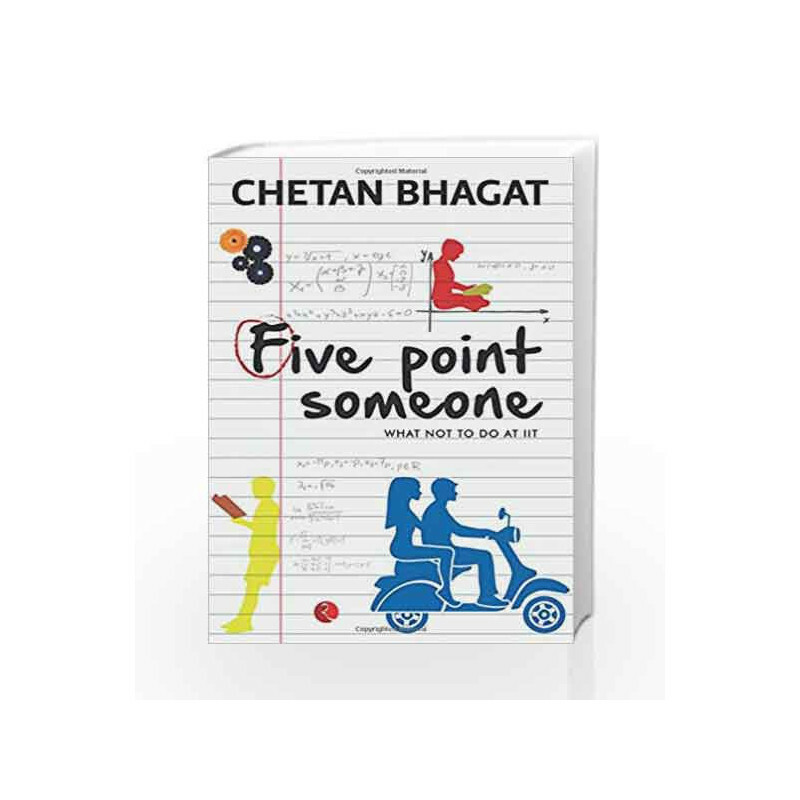 Five Point Someone: What Not To Do at IIT is the debut narrative by renowned author Chetan Bhagat. The plot rotates around 3 friends Hari, Ryan and Alok at IIT. Their companionship is strengthened into close bond during their years at IIT, experiencing extreme hardship to endure through the tough competitions. Three of them have high self-expectations of being at the top in their classes and graduate out of the Institution with flying colours. As opposed to their expectations, the results and scores fall beyond their imagination. Hari has by the time fallen for his professor s daughter. Alok and Ryan are the 2 beings who never get along with each other. At IIT, the 3 of them have to bear the skeptical professors, stressful study materials and assignments, burden of limitless examinations and a stern academic timetable. The story focuses on their on-the-brink survival in the IITs and the unending struggle with the age-old education system of India. The book has been adapted into immensely successful films in the languages Tamil and Hindi. The print can be ordered online at Amazon India. About the author: Chetan Bhagat is an Indian author and novelist. Some of his best-sellers include Five Point Someone, One Night @ the Call Centre, 2 States and What Young India Wants. Chetan Bhagat studied at the prestigious Indian Institute of Technology, Delhi and Indian Institute of Management, Ahmedabad. 4 of his novels have been adapted into Bollywood movies, namely 3 Idiots, Kai Po Che, 2 States and Hello. 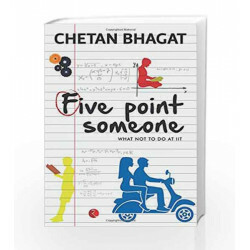 Five Point Someone ; What Not To Do at IIT Book is not for reading online or for free download in PDF or eBook format. Table of Contents,Index,Syllabus,summary and image of Five Point Someone ; What Not To Do at IIT book may be of a different edition or of the same title.